Third-party providers can be best placed to engage with hard to reach customers, an added benefit of outsourcing collections. Outsourcing collections offers numerous benefits to originating lenders, who may be struggling to reduce high levels of non-performing loans in the wake of the financial crisis. According to the European Commission, efforts to reduce NPLs have been effective in some quarters, falling to an average 4.81% in the first quarter of 2018. But this figure masks extreme discrepancies, with Greece reporting a non-performing loans ratio of 45.3%, Italy 10.8% and Ireland 10.6%. High levels of non-performing loans are a threat to the financial system and the European Central Bank is pushing lenders to reduce these levels. Collecting all loans in-house is an insurmountable task, so effective partners are needed to share the burden. Early arrears outsourcing will also prevent future levels of default spiralling out of control. While outsourcing has clear cost benefits and can free lenders to concentrate on core business activities, it can also be good news for indebted consumers. A third party can be a benefit when it comes to making contact with customers who have defaulted and helping them find a way forward. Many collections agencies have invested heavily in systems and techniques to engage with hard to reach consumers. Often outsourcing itself can be a wake-up call for those who have been ignoring their financial issues. A third party can take an unemotional approach, acting as a signpost to debt advice and help if needed. They can negotiate a repayment plan that will be sustainable for the customer and secure repayment quickly and fairly. Collections businesses also offer a range of contact methods, tailored specifically to establishing income and expenditure and setting up payment plans at any time of day or night. These dedicated solutions are invaluable as many customers find it difficult to discuss their situation, preferring to use an online portal and manage their payments themselves. 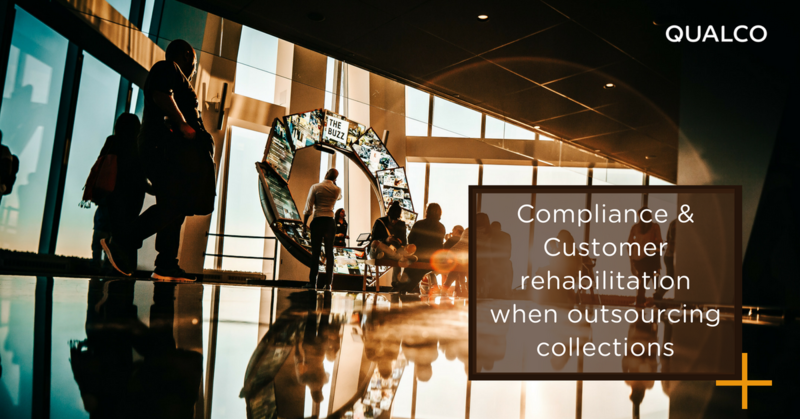 Third-party collections firms are adept at contacting individuals and working with them to find a solution. Throughout this process, the lender can monitor the situation using real-time reporting capabilities, retaining oversight and control. Effective segmentation and collection strategies are essential here, reducing bad debt, delinquency and attrition and helping ensure customers regain control of their finances. The earlier this is done, the more effective it will be. Lenders and their partners require systems that can manage debts throughout their lifecycle, using appropriate analytics to segment, model and automate elements of the process. Today those systems are a reality.